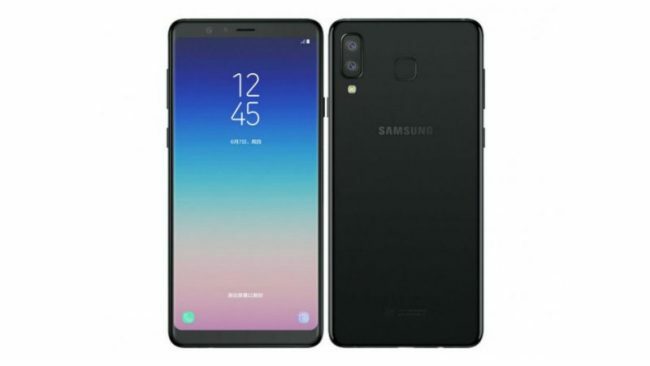 Samsung Galaxy A8 Star, which is the global variant of the Samsung Galaxy A9 Star that was launched in China in June, looks debuting in India soon. Amazon India has teased the arrival of the Galaxy A8 Star. Though the handset arrived in China as the Galaxy A9 Star, it was rebranded and launched as the Galaxy A8 Star in the Philippines. The smartphone was launched at a price tag of CNY 2,999 (roughly Rs. 30,600). It features a dual rear camera setup and a thin-bezel display. Amazon India hasn’t revealed the actual price of the upcoming smartphone. However, the model is suggested to come with a price over Rs. 30,000. Amazon India has created a microsite to tease the launch of the Galaxy A8 Star. The online marketplace has listed the handset as Samsung Star, however, it is safe to say that the Galaxy moniker will be adopted at the time of the formal launch. The online listing shows that there is a dual rear camera, strong battery life, and a metal build with a curved glass on top. Furthermore, the fingerprint sensor of the handset has been highlighted in one of the images. Price and availability details of the Galaxy A8 Star in India are yet to be announced. However, Amazon India has suggested that the handset could debut with a price over Rs. 30,000. An option to receive notification upon the availability of the Galaxy model is provided for customers. The Galaxy A8 Star runs Android 8.1 Oreo with Samsung Experience UX on top and features a 6.3-inch full-HD+ (1080×2160 pixels) Super AMOLED display. There is a Snapdragon 660 SoC, coupled with 4GB of RAM and 64GB of onboard storage that is expandable via microSD card. The smartphone has a dual rear camera setup that comprises a 16-megapixel sensor along with an f/1.7 aperture and a 24-megapixel sensor along with an f/1.7 aperture. Both are paired with an LED flash. On the front, there is a 24-megapixel sensor and an f/2.0 aperture. The Galaxy A8 Star has 4G VoLTE, Wi-Fi, Bluetooth, GPS/ A-GPS, USB Type-C, and a 3.5mm headphone jack. There is a rear-facing fingerprint sensor. Besides, the handset packs a 3,700mAh battery.